The new site is easy to read, easy to use and provides an even greater level of security than our previous system. We have incorporated a virtual terminal which means card payments are quick, simple and safe. Additionally, the integration of a booking agent, allows a fast, simple and clear cut calendar system. During your booking process you will be able to see a range of rates and availability on the one page. The introduction of our online enquiry form provides the opportunity to ask us anything before you commit to booking. We understand online booking is not for everyone, so we pride ourselves on being as flexible as we possibly can, and are always ready to help! To support our endeavors for this, we have introduced an Instant Messaging system, meaning we can answer your queries quickly. We have moved our business forward thanks to the continuing support of our customers. Hence, we now show that support back to you by bringing our new website to the fore! Please do take the time to explore our new site and feel free to leave us any comment or thoughts. Each month, there will be a chosen featured property highlighting the specific items of interest relating to that apartment, the history of it and why we think that apartment is so special. 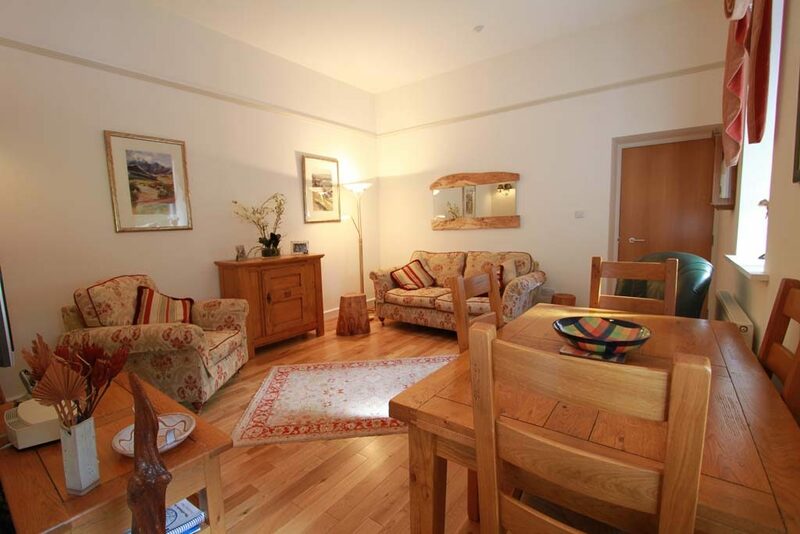 There are plenty for us to choose from as every apartment and cottage here has its own story to tell! We’re very happy to bring the Major’s Apartment, Moat House 2, to your attention! This apartment has recently moved to new ownership and has had a big part to play in the Abbey’s history. As the name suggests, this is where the Major’s quarters were in the days of the Fort. The family bathroom, on the lower level, was notably the gunpowder store. The pretend window, in place to hide the room’s use, is still there today! Common belief is that the heavy entrance door was here to deter visitors. Visitors to the Abbey would ring the bell, and often wait up to 5 minutes for a monk to attend. The door would not open, but instead a monk would talk through the small grill on the heavy door. He would ask the visitors business before allowing entry. The arched passageway you walk through, in the main entrance to the Moat House, was built in the 19th century over the moat as a replacement to the original entrance from the days of the Fort. In monastic times there was a crucifix above the main door. Today, you can still see rhomboidal keystones above some of the doors in this section. Notably, the symbol of the Redcoat soldier engineers. This tells us they were responsible for building this section. The monks would use the upper floors of the Moat House to accommodate guests. There was a large room on the first floor that would sometimes be used as a meeting room or even a coffee lounge. Major’s Apartment, Moat House 2, is a 3-bedroom apartment with 2 bathrooms and 2 entrances over 2 levels. The ground floor entrance leads to the Abbey grounds while the first floor entrance will take you to the Moat House staircase and the Cloisters. The lower section of this apartment retains some of the original architecture, notably, the arched passageway between the twin bedroom and and the master bedroom. From the upper level, you can enjoy views of the Abbey grounds. This is an altogether excellent choice for families and friends and it even features on our Special Offers page! Full details of Major’s Apartment can be viewed by clicking here. As part of our ongoing commitment, we will be posting regular blogs. 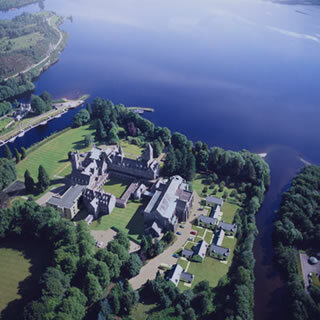 Words and pictures often don’t do the beauty of Loch Ness any justice – but we will certainly keep trying! There is so much going on at The Highland Club that we will need to keep posting our blogs! But don’t worry if you miss it. Our Face Book, Twitter and Instagram pages will help keep you up to date.